The signet ring is a timeless style. 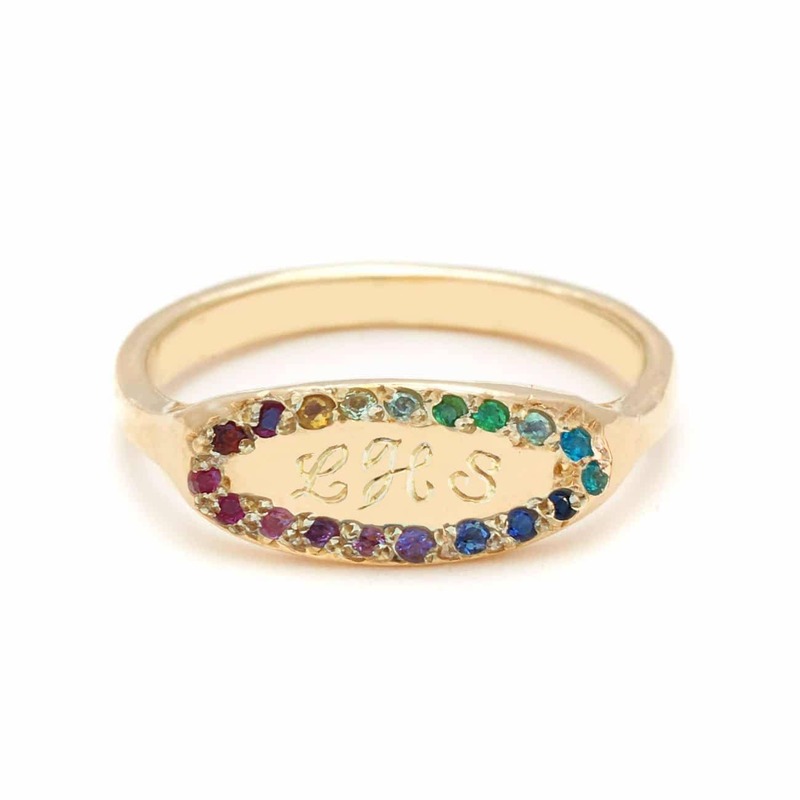 This 18 karat yellow gold oval signet ring is set with nineteen rainbow gems. 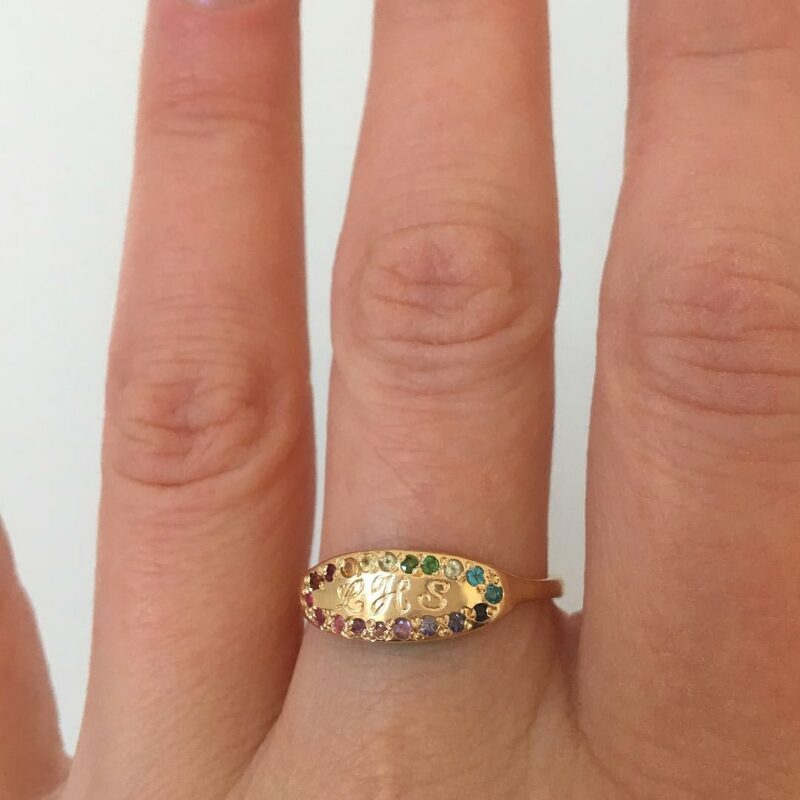 These include garnet, red sapphire, citrine, yellow sapphire, peridot, tsavorite, alexandrite, apatite, blue sapphire, iolite, amethyst, rhodolite, pink sapphire, and ruby. Engraving is available. Handcrafted by Elisa.